'Start Here': Mueller recommends no jail time for Flynn, North Carolina election fraud allegations and Wells Fargo's mortgage glitch. What you need to know to start your day. Election fraud allegations have broken out in North Carolina. It's Wednesday, Dec. 5, 2018. Thanks for choosing to start here. Special counsel Robert Mueller has recommended no prison time for Michael Flynn, President Donald Trump's former national security adviser, citing Flynn's "substantial assistance" in the Russia investigation. The sentencing memo filed last night is heavily redacted, but ABC News' Aaron Katersky says it does provide some insight into the special counsel's probe, including Flynn's participation in "ongoing" investigations. "It really isn't a tremendous window into the substance of the conversations," Katersky tells us, "but the document does say that Flynn spoke to the special counsel's office 19 times." Flynn pleaded guilty in December 2017 to lying to the FBI about conversations with former Russian Ambassador Sergey Kislyak on U.S. sanctions. The bulk of Flynn's cooperation with the special counsel occurred immediately following that court appearance, a source told ABC News. 2. Election fraud in North Carolina? 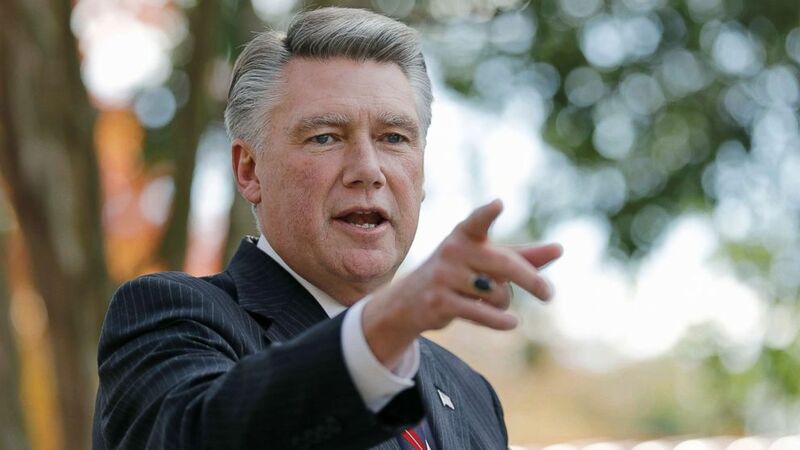 State officials are investigating potential election fraud in North Carolina's 9th Congressional District. The state Board of Elections has yet to certify the results of the race between Republican Mark Harris and Democrat Dan McCready, citing mounting evidence of voting "irregularities." McCready, who conceded to Harris, lost by 905 votes. At the center of the investigation is rural Bladen County, where Harris won a significantly higher portion of the absentee ballots in both the primary and general elections. Multiple sworn affidavits from voters in the district said people came to their homes to collect ballots. In North Carolina, it's illegal for a third party to mail an absentee ballot. The elections board will hold a hearing to address the allegations this month, and ABC News' John Verhovek tells us it's possible the district could hold a new election. (Chuck Burton/AP, FILE) Mark Harris speaks to the media during a news conference in Matthews, N.C., Nov. 7, 2018. After a closed-door briefing by CIA Director Gina Haspel on the murder of Washington Post writer Jamal Khashoggi, top Republican senators blasted Saudi Crown Prince Mohammed bin Salman and blamed him for the journalist's death. Sen. Bob Corker, R-Tenn., told reporters Tuesday there's "zero question" the crown prince "ordered the killing." Sen. Lindsey Graham, R-S.C., said: "There's not a smoking gun, there's a smoking saw," referencing the bone saw Turkish officials said was used inside the Saudi consulate in Istanbul to dismember Khashoggi's body. In response to the murder and Haspel's no-show at a classified briefing on Yemen and Saudi Arabia last week, a majority of senators voted to advance a resolution to pull U.S. military aid from the Saudi-led coalition fighting in Yemen. ABC News Chief Global Affairs Correspondent Martha Raddatz questions how the senators will respond now: "They can complain, they can say [MBS] is behind it, but what kind of action do they take?" 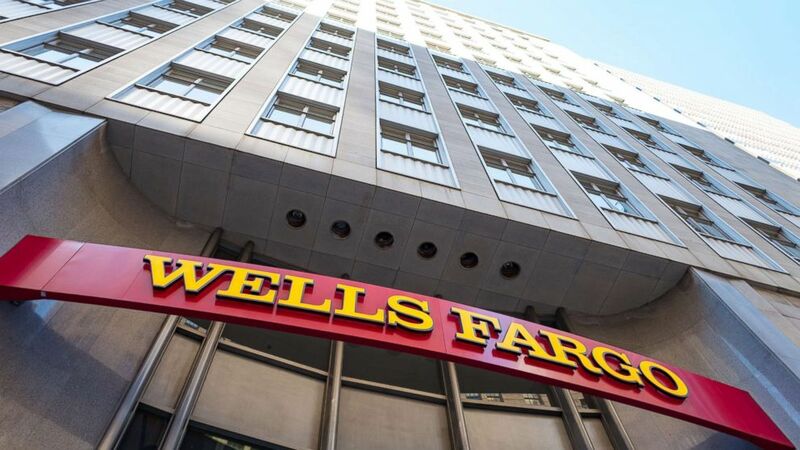 Earlier this year, Wells Fargo began running an ad seen as an apology for the company's recent behavior, some of which led to a $1 billion settlement with U.S. regulators. Now the bank has admitted to the Securities and Exchange Commission that a computer glitch caused hundreds of customers to lose their homes who shouldn't have. We hear from Jose Aguilar, who says his home was foreclosed on after being told by Wells Fargo that he didn't qualify for a loan-modification program, only to later learn he was denied in error. The bank would not comment specifically on Aguilar's case, but it did say hundreds of families had been affected by the glitch and that it was dealing with all of them individually, at no cost. (Smith Collection/Gado/Getty Images) Signage with logo at headquarters of Wells Fargo Capital Finance, the commercial banking division of Wells Fargo Bank, in the Financial District neighborhood of San Francisco, Sept. 26, 2016. 'Not going to be sustainable unless we correct this problem': Too many Afghan troops are still being killed as the 17-year-old war remains a "stalemate," a top U.S. military expert says. 'No tax is worth putting the nation's unity in danger': In France, a tax increase on fuel has been suspended for six months after widespread protests. 'For most people, the last thing you're going to think about is that this person is about to take your life for a few dollars': The husband of a woman stabbed to death by a panhandler says, "I just want justice for my wife." 'Soon, the protesters outnumbered police': Four arrests have been made in India after protesters outraged by rumors of cow slaughter allegedly torched a police outpost and killed a cop. 'I know my mom is smiling from ear to ear right now': Kevin Hart announces he's hosting the Oscars. Millions leave Venezuela to keep their families alive: Part 1: As the economic crisis in Venezuela worsens, families are forced to skip meals, work extra jobs and do whatever it takes to survive. As economic crisis worsens in Venezuela, families are caught in a dire situation: forced to skip meals, work extra jobs and more to survive. 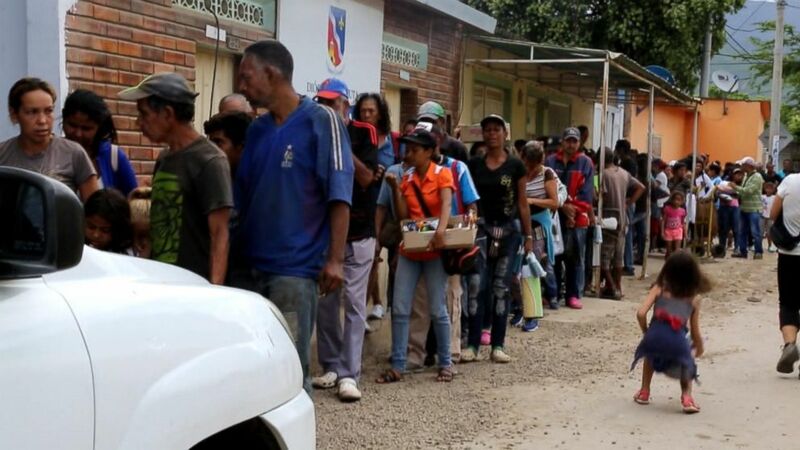 Venezuelan migrants in mass exodus face more challenges: Part 2: The millions fleeing face immigration hurdles, hunger and the cruel reality they often must turn to desperate measures to earn little money. The millions fleeing Venezuela face immigration hurdles, hunger and the cruel reality that they must turn to desperate measures to earn little money. Dec. 5, 2007 -- A gunman opens fire at a Nebraska mall. A gunman opens fire at a Nebraska mall. 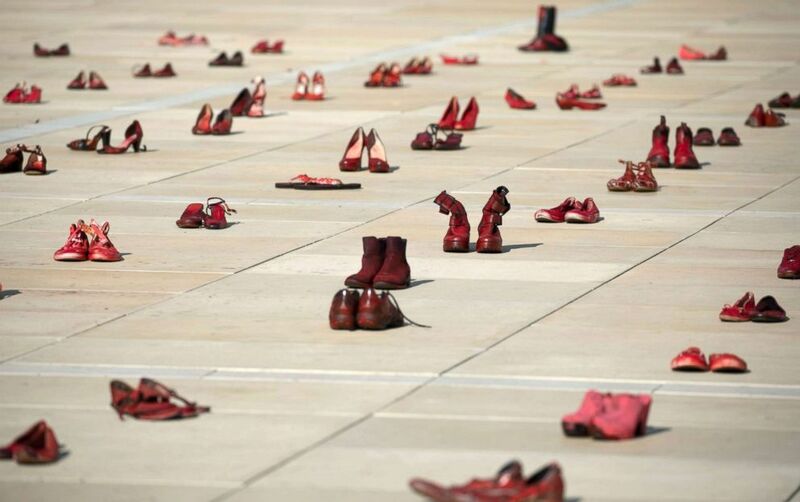 (Jim Hollander/EPA via Shutterstock) Pairs of red shoes are on display in a central square in Tel Aviv as part of the protest calling for an end to violence against women, Dec. 4, 2018. 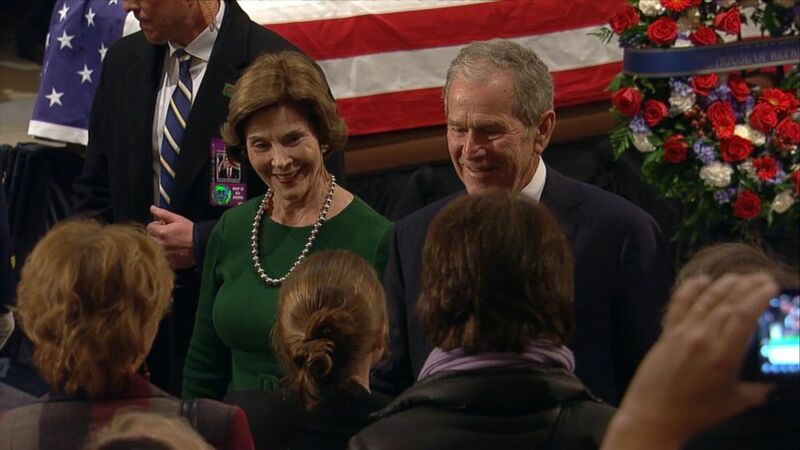 The Bush family greets mourners at the Capitol Rotunda as George H.W. Bush lies in state.